The Diocese of Miao is grateful to God for giving one more Priest. Fr. 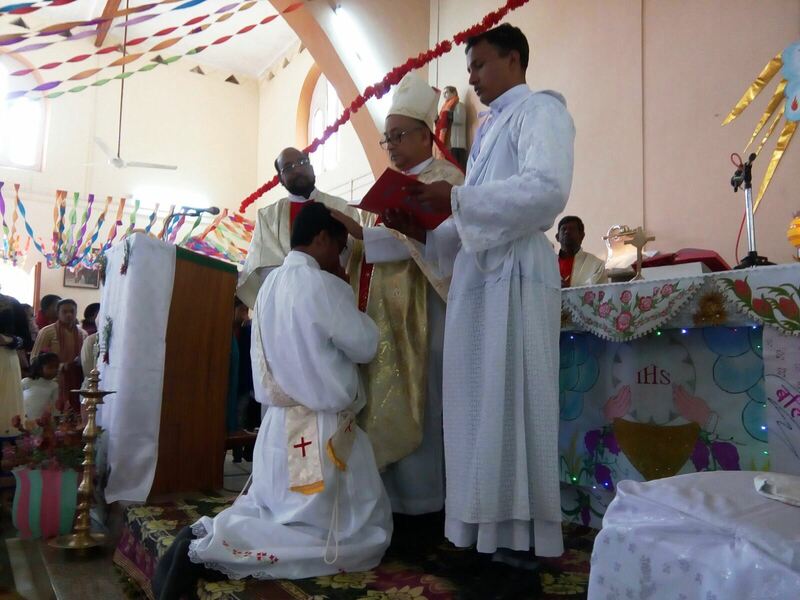 Davesh Daniel Tahir was Ordained Priest on 6th January 2016 by Bishop George Pallipparambil SDB his hometown at St. Michael’s Church, Michaelpura, Kota District, Rajastan. Fr. Daniel did his Theology in Oriens Theological College, Shillong and did his Dioconate Ministry in Khonsa Parish. He is the 14th Priest from his home Parish in Rajastan. He celebrated his Thanksgiving Mass on 7th January 2016 at his Parish.